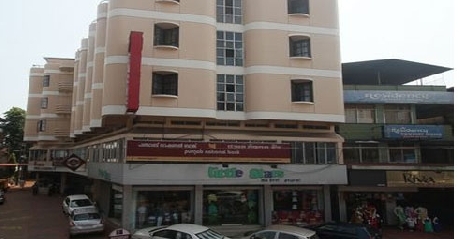 Paris Presidency is a three star property located in the first Heritage city of Kerala i.e. Thalassery. The hotel is run and managed by Paris group of establishments, who have been in hospitality business since past seven decades. Paris Presidency is a well known brand in this hospitality sectors owing to their client centric approach and warm hospitality. The hotel offers five accommodation options to patrons ranging from budget, economy to luxury. All these rooms are designed tastefully and are equipped with all basic amenities to ensure complete comfort to clients. The in house restaurant at Paris Presidency is very famous for serving local Keralite dishes along with popular global cuisines. In addition to this, hotel has also developed features such as laundry service, valet service, 24 hour operational front desk, car rentals and taxi services, tour packages and sightseeing services, banking facility, doctor on call service and many others. A stand out highlight of Paris Presidency is its banquet hall which if fully air conditioned and has seating capacity to host 100 people. It is Ideal for business meetings, seminars and social events such as marriages. They also provide catering services for these events along with hospitality and management staff. The Non AC Regular Rooms are the budget accommodation option available at the Paris Presidency Hotel, Kannur. These rooms are simple but are equipped with all the necessary features and amenities to ensure a comfortable stay for guests. The facilities include color television with satellite connectivity and premium channels, telephones with direct dial facility, same day laundry service, complimentary newspaper service and many others. AC Regular Rooms are aimed at business travelers who are looking for a comfortable stay option in Kannur. These rooms are big on facilities and light on the pocket and therefore have been a big hit among the guests. These fully air conditioned Regular rooms have very lively ambience and are fitted with host of amenities to keep patrons comfortable. The amenities include daily newspaper service, same day laundry service, color television with satellite channels, comfortable bedding and direct dial telephone facility. If you plan on staying with your family or friends during your vacation, then the Non AC Room with three beds is the ideal choice for you. These spacious rooms have three separate and comfortable beds, which allow patrons to spend quality time with their loved ones. 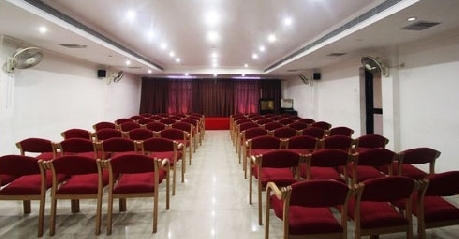 Equipped with host of other features and amenities such as color television, satellite connection, same day laundry service, comfortable beds, direct dial telephones and many others; these rooms are sure to take care of any and every need of clients. Enjoy the comfort of air conditioning without paying a hefty price for it. The AC Rooms with three beds was designed in a very tasteful manner to reflect class and style. These rooms are equipped with three beds and therefore the room can easily cater to group or family travelers who plan on spending their vacation together. Moreover, to ensure complete comfort of clients, the rooms are equipped with premium in-room amenities such as color television, fine furnishing, direct dial telephone service, same day laundry and comfortable bedding. If luxury and comfort is what you desire for your vacation; then the Air conditioned suites available at Hotel Paris Presidency are ideal for you. These suites are divided into separate area for living, dinning and bedding for the convenience of the clients. The interior décor and ambience of the suite is designed very tastefully and has impressed travelers from India as well as abroad. The long list of amenities included as part of these suites include color television with satellite connectivity, same day laundry service, direct dial telephone facility, comfortable beds, extra ordinary furniture and private bathrooms. The designer décor and modern day comfort creatures have helped hotel earn rave reviews in the tourism industry. Hotel Paris Residency offers well furnished and tastefully decorated rooms to its guests. 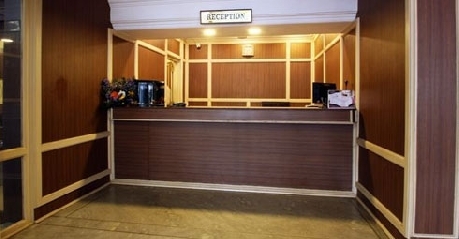 You will find both air-conditioned and non air-conditioned rooms in the hotel. 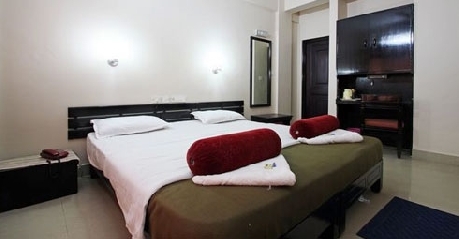 Besides, all the rooms in Hotel Paris Residency are spacious and well equipped with basic modern amenities like 24 hour rooms service, telephone connectivity etc. Keeping the culinary tradition of Kerala alive, Hotel Paris Presidency has developed a multi cuisine restaurant that serves variety scrumptious delicacies. 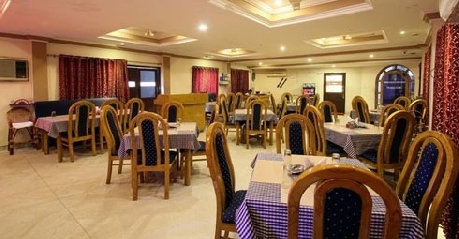 The eatery specializes in Keralite dishes that are prepared as per old recipes using herbs and spices that impart unique flavor to the preparations. In addition to this, the restaurant also serves popular dishes from Indian, Chinese and Continental flavors. Tandoori food and Dum Biryani served here is very popular and patrons are welcome to try it. The restaurant is open for Breakfast (7:30AM to 10:30AM), Lunch (12PM to 3PM) and Dinner (6:30PM to 10:30PM). To keep guests refreshed and lively, the hotel has an all day coffee shop that serves hot beverages. The coffee shop also serves lip smacking finger food and snacks to cater to untimely hunger pangs of patrons.